Many of us dream of cruising in Europe ... we had such a dream and hoped that one day we could make it and sample what the 'Old world' has to offer ...We made it and here are a few tips for those who plan to do the same. You may either cross the 'pond' under your own sail / power or acquire a boat in the area you plan to cruise. To successfully cruise the canals and waterways of Europe your boat must be equipped with a selection of equipment that may not be so relevant for regular offshore passagemaking. 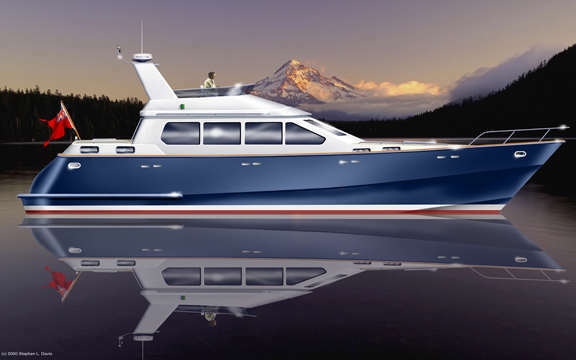 Additional fenders and mooring lines are an absolute necessity for this type of cruising. On a sailboat the mast needs to be supported in timber cradles at the bow and stern. Minimum overhangs at each end are recommended...something to keep in mind when you are choosing a rig. Additional equipment includes two steel Jerry-cans to carry spare diesel fuel, a long hose and assorted fittings, a plastic container for carrying water (in some areas canal-side taps are in short supply), engines spares, gangway/mooring plank, a searchlight for the tunnels, air horn, mooring spikes and a set of courtesy flags for each country you plan to transverse. Canal friendly cruisers for Coastal cruising as well as canals, rivers & bays. This new range of canal friendly cruisers feature low 'air' draft, minimum draft and the beam is designed to suit locks widths on all the popular canals and rivers of Europe and elsewhere. After many years of extensively cruising the rivers and canals of Holland, Belgium and France as well as Mediterranean coastal voyaging, we can recommend these new designs as ideal. Hal & Dorothy Stufft's beautiful Dutch style pleasure barge. What did you say? The Bourbonnais Route? Never heard of it. Actually, the Bourbonnais Route is a collection of 4 canals in the centre of France. A section of the Upper Loire and Allier valleys is known as the Bourbonnais region, thus the canals that lead through it are known as the Bourbonnais Route. Your yachting friends will know of this route because it is the recommended track for those heading to and from the UK and the Mediterranean Sea. The northern end starts at the junction of the Canal du Loing and the Seine River, about 90 kilometres southeast of Paris. The Loing Canal climbs up beside the Loing River and joins the Briare Canal near Montargis which finishes the climb and drops down the Loire valley to Briare. At Briare you meet the Canal Lateral A La Loire and cross the Loire on an aqueduct built by Eiffel’s company in the 1890’s. It is almost 200 km. along the Lateral Loire to the Canal du Centre and the final part of this route. There are a number of canal and other tourist features spread out along this 480 km. (300 mile) system. There are three long aqueducts, a disused round-lock, two wine regions, a derelict “narrow” canal, several embranchements, a seven lock staircase, and Alfred Sisley’s hometown. All along the Bourbonnais Route are many small halte nautiques that give access to towns and villages for visiting and shopping. Last year Dorothy and I had the opportunity to travel the whole Bourbonnais Route from Chalon sur Saone to the Seine at St. Mammes. We started at Chalon near the entrance of the Canal du Centre. A 3.2 meters first lock is a result of the bypassing of the old canal that ran through Chalon. Once up on the mainline, you will realize that this is a true contour canal that winds its way northwest to Chagny. We discussed the beauty of such a canal as well as the hope that a peniche didn’t come around a turn. After the first lock, they were automatic and after several locks we stopped in the countryside. It was early afternoon and we were happy to just relax. Tomorrow we will be shepherded by a lockkeeper couple. Chagny is a lovely town with good places to moor. A young couple who were travelling on a small fibreglass narrowboat came by for a visit and tea. They are from the London area; he is especially keen on boating and was full of questions. They departed around 12:30 as they have restaurant reservations for lunch at the 3-star here in Chagny. We didn't get very far the next day. We followed a loaded peniche going ever so slow. The lockkeeper yesterday said they do not get peniches except in the winter months. We stopped at a nice mooring spot in a wooded area above the Charolais valley--very pretty. We are above the village of Santenay and behind this are many plots of vineyards. There must be 10 or more vignoble families in this village alone. We walked .5 km. into town and found 2 nice restaurants. We continued on uphill and down as far as Montceau le Mines. The down locks are easy, though we continue to have lockkeepers tag along with us. We did 9 down locks and stopped around 4 p.m. Walked into the city and my, it is very big and full of stores though it is a Monday and most were closed. We bought our dinner at the Casino supermarket, a prepared chicken Basquaise and an interesting salad for �7. We awakened to a market being setup in front on the Port de Plaisance. Since we had told the lockkeeper that we were leaving at 8 a.m., we did not dare stay around. We passed by Genelard, Paray le Monial, and decided to stop for the day in Digoin. We went across the first aqueduct over the Loire River--Digoin. I biked ahead to take photos. It's another pretty day here in France. We are having cool evenings and mornings and warm days--very nice. We turned onto a branch toward Roanne, new territory for us. Some of the locks are quite deep, the deepest was 7.19 meters, but the lockkeepers let the water in very gently. Countryside is very pretty and we made it as far as Lock No. 3 at Brienon. We did not go into the port but stayed just before the bridge in full shade. Have not had much boat traffic today. We had l7 km. and 3 locks to do and arrived in Roanne before lunch. The port is huge and we pulled into a mooring just in front of the couple from Ventura, California whom we had seen in Vermenton. We liked their boat and they invited us in again. 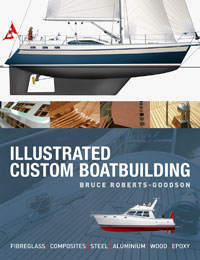 It was good to see inside as it's about the size for which I was drawing boat plans. We chose to stay another day here as it is so pleasant. I walked to the patisserie for croissant amande for breakfast. We won't be able to do this in February in Pennsylvania. The lockkeeper had not yet arrived when we approached at 8 a.m. It's another gorgeous day in France. We sleep under a blanket during the night and in the early morning, a long-sleeve something is required. By 11:00 it is quite warm. I rode the bike for a bit this a.m. in order to take photos. We made good time returning to Digoin and the end of this canal. We chose to stop back near the end of the aqueduct for peace and quiet. Gannay was our next overnight stop. 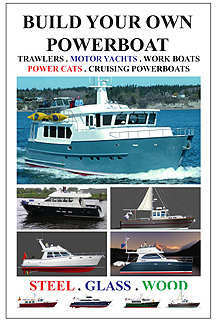 I wanted to get some information from the Connoisseur Cruisers Hire Boat Co. here. We had 16 km. to reach Decize where we stopped to buy food and propane. We knew that there was an Intermarche next to the canal so loaded up on staples. Also, bought some very nice croissant amande. It is possible to turn off here and go north to the Nivernais Canal. Thirty km. and 3 locks west of Decize it is possible to turn north again and go down 2 easy locks onto the 2 km. 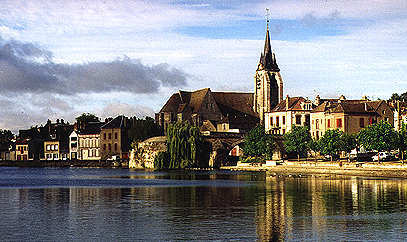 branch to Nevers, the capital of this region. Just below the Geutin aqueduct over the Allier River and double lock, there is a stopping place. A short 5 km. bicycle trip away to the south is a round lock that once took traffic from the Lateral Loire down to the Allier River. It is interesting to see how a 38 meter barge can be efficiently turned within a single lock to change direction. There are only three examples which of round locks are in operation; on the Canal du Midi, in Bruges, Belgium, and on the outskirts of Emden, Germany. We ate lunch on the way, as usual. We arrived around 2:00 in Marseilles les Aubigny. The derelict Canal du Berry formerly entered the lateral canal here. Most of it can be explored by foot, bicycle and auto, but the 1st km, has been paved over. Awakened to sunshine again. Evenings are cool enough that we can shut the windows and avoid the bugs. After getting our Poste Restante, we were able to end our day around 4:00, at Menetreol sous Sancerre. We remember this as a special old village, where one could draw and take lots of photos. Three English couples were on a hireboat behind us. They had rented a boat for 10-12 persons so that all 3 couples would have separate bathrooms. One of the men came by to ask about the 2 restaurants nearby, but we had no advice. The hill town of Sancerre is within sight and it is a worthwhile journey either by foot, pushbike or taxi. There are views out in all directions and there are several restaurants on the square to have lunch or dinner. Sancerre wine is for sale all over Menetreol and along the roads leading up the hill. At St. Satur, the other town on the canal at the base of Sancerre hill, we were able to solve a fuel shortage. As a result of our taking time for fuel and not starting early, we did not accomplish much in the way of distance. We stopped at Lere in the early afternoon and didn't get away until around 9:00 the next morning. Dorothy loves these easy days. We have a couple of locks, a 20 km. pound and Eiffel’s aqueduct to do today to reach Briare. The high aqueduct was built in the 1890’s by Eiffel’s company to bypass several locks down to the Loire river. I wanted to get some photos of the port town center so we walked into town. Dorothy decided to sit on the park bench and let me do my photography. While she was reading, a young lad coming along the walkway fell into the water, bicycle and all. No one was near him so Dorothy dropped her book and went over to pull him and his bike out of the water. When some French people came by, Dorothy explained that she spoke little French. They took him in the direction of where his parents were. Later, the family came by to see where he had fallen in and to thank D.orothy for the assistance. We are starting up-locks today--8 to do. Found out at the first one that they are mechanized and a lockkeeper shepherded us through them. Dorothy walked ahead to get the lines but it was no effort. We, then, proceeded down 6 locks and moored at Rogny Les Sept Ecluses; at around 2:30, another easy day. We took a walk in the afternoon to the 7 locks ancien and I got some photos and measured the locks—34 metres. On our return, a gentleman saw that I was curious about an engine under cover and it turned out to be a machine used in distilling liquor. His partner or father came on the scene and the two of us were invited into a small part of a shed where we were given drinks of an aperitif and, also, a spirit, eau-de-vie. Well, the aperitif was very tasty and we would have bought some, but they had none to sell. The spirit was strong and much of that and we would have been out for the rest of the day. The next day we went down 6 more locks and 10 km. and would you believe, stopped at 10:30 a.m. in Chatillon-Coligny. We are supposed to have rain today but it held off until evening. We met 2 couples on a Dutch klipperaak named Vertrouwen. This ship is owned by 10 partners. If the other 9 are as pleasant as this owner we met today, it's a good group. They invited us to join them at Le Coligny restaurant. We had a most enjoyable evening. We walked in some light rain to the restaurant. and everyone of us was happy with the meal, the service, etc. Chatillon-Coligny is a pretty large town and has a lovely chateau turned into a hotel. Cost of the best room in the hotel was about �100, if you fancy a posh night’s lodging. We had light rain most of the night and most of the next day's trip. It stopped about noon and we moored in Montargis around 2:00. It claims to be the Venice of France with plenty of waterways threading through the town. Just beyond Montargis is the junction of the Canal du Orleans. Though derelict, it will be restored some day. We had a long day ahead of us and I was not eager to leave. A loaded peniche preceded us and we ended up following him all the day. It rained most of the day and we didn't stop until nearly 7:30 in Nemours. Moret sur Loing is a special town for us. The impressionist painter Alfred Sisley spent his last days in this medieval river city with its bridge, water-powered industry and armored portals. There is a Champion hypermarche which also sells fuel. Peace and tranquility and friendly folks are the trademark of the Bourbonnais route. Though we have been through much of the region several times, and again in 2003, we look forward to the next time. We encourage you to experience some or all of it, too. Just one of the 18 pages in PASSAGEMAKER that is devoted to cruising in Europe. 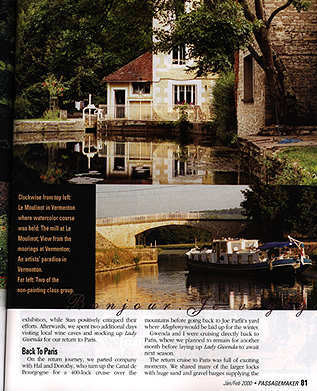 The 5,000 word text will wet your appetite and the many photographs show the beautiful French waterways and countryside. 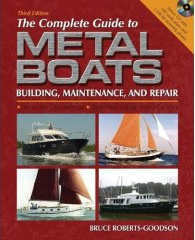 A very short extract from Bruce's book "CHOOSING FOR CRUISING"
In the case of Holland paperwork is kept to a minimum. For boats of under 49 ft 3 in (15m) in length, and whose top speed is less than 8 knots (20 km), all that is required is a recognized form of operators certificate such as the certificate of Competence issued in the UK by the RYA. As with any cruise you may be planning the requirements may change so you should always check with the local authorities of each country you plan to visit. Make sure you are equipped with the correct ships papers and local guides and rule books before you leave your home port. In Holland you are required to purchase a copy of the Dutch ANWB strip maps, and although the text is in Dutch, they will prove most useful. As some of the locks (sluizen) are muti chamber affairs it is essential to have a VHF radio available to call up and ask advice as to which is the next available lock. Make sure you let the lock keeper know if you are travelling upstream or downstream. On arrival in Belgium, you have to pay 35 Belgian francs (about 75P or US$1.20) for using the canal system. The modest fee is offset by the fact that one of the crew will have to climb up to the office at every lock to have the 35BF piece of paper stamped and recorded in the computer or occasionally entered into a log by hand. Before crossing into France you can take the last opportunity to fuel up with the tax free and therefore much cheaper Belgian diesel fuel. On crossing the border you are now able to use the excellent French Navicarte maps which have English, French and German text; the various editions cover the entire French canal system. 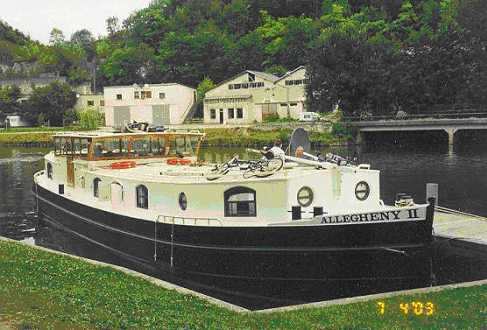 It is a requirement to purchase a Vignette, the French permit to travel on their canal system. At this lock leaflets explaining the various permits are available in English, Dutch and German. There are different options such as a 20 day pass designed for holiday makers and must be used on 20 consecutive days, a 30 day pass, which can be used as you wish, you do not count the days you are not actually travelling on the canals, or a one year pass for those who plan to be on the move for more than 30 days. The locks on the Rhone are the largest in France and the Ecluse Bollene is over 80 ft deep (24.40 m) and large enough to take most ocean liners. It is advisable to call the Rhone locks on your VHF radio to advise of your impending arrival; this can save you up to two hours delay if you just miss the lock cycle. With a few phrases spoken in French you will greatly enhance the chances of the lock master holding the cycle for up to 20 minutes or more, on occasions when others are already in the chamber. The right time to call ahead depends on your speed. If you call from too far out you may be holding up the lock for too long and annoy the lock keeper (not recommended). Most canal users find that calling when about 10 to 20 minutes from the estimated arrival time is correct. If the lock-keeper does not reply leave it for a few minutes and try again, he may be handling a lock full of barges and be unable to get to the radio. You must supply the correct information in French if you want this useful system to work in your favor. If you have the time, take your time as there is much to see and enjoy. You can easily travel from Holland, Belgium or from one of the French channel ports to the Mediterranean in 18 days ; a leisurely trip through France can take a whole Summer.